The role of marine currents in shaping population connectivity in the common cockle Cerastoderma edule was investigated in the southern Irish Sea. C. edule is one of the most valuable and exploited shellfish species in the area, yet very little is known about its population dynamics. In the present study, coupled hydrodynamic and particle tracking models are used in conjunction with genetic data collected at twelve microsatellite loci to estimate the influence of the Celtic Sea front on larval transport between the coasts of Britain and Ireland. Genetic analysis highlights the presence of at least three genetic clusters partitioned within locations, suggesting a contact zone between separate subpopulations. Samples collected from the Irish coast are most similar to each other. On the British coast, the Burry Inlet appears genetically isolated while samples collected from the coast of Pembrokeshire show evidence of connectivity between Britain and Ireland. These results agree with the model’s predictions: away from the coastal zone, residual baroclinic currents develop along tidal mixing fronts and act as conduit systems, transporting larvae great distances. Larvae spawned in south Wales are capable of travelling west towards Ireland due to the Celtic Sea front residual current, confirming the action of the Celtic Sea front on larval transport. Sheltered, flood-dominant estuaries such as the Burry Inlet promote self-recruitment. 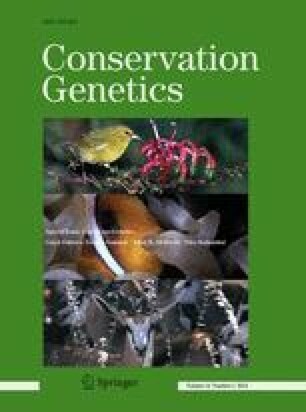 The validation of the model using genetic data represents progress towards a sustainable future for the common cockle, and paves the way for a more effective approach to management of all Irish Sea shellfisheries. The online version of this article (doi: 10.1007/s10592-012-0404-4) contains supplementary material, which is available to authorized users. SUSFISH is a 3 year project funded by the European Union Regional Development Fund (ERDF) under the Ireland Wales Programme 2007–2013—Interreg 4A, Project No. 042. The authors would like to thank Matt Longshaw (CEFAS, UK) and Emer Morgan (UCC, Ireland) for sharing samples and John Hickeys (BIM, Ireland) for assisting with sampling in Ireland.